There was a time when all you needed was a simple button press to get something done in a game. But in modern PC games it ain’t so simple. Its 2, 3, 4 clicks or key presses to do anything. But Grandpa always said “Play Smart, Not Hard” and that’s the point of Smart Buttons™ ; they get multi-command, multi-step game tasks down to a single button or even a single press.Think Schwarzenegger meets Einstein. Five types of very smart, very aggressive Smart Buttons™ get your gaming tasks done with ruthless efficiency. Fortunately, Smart button capabilities are simple to assign to buttons. 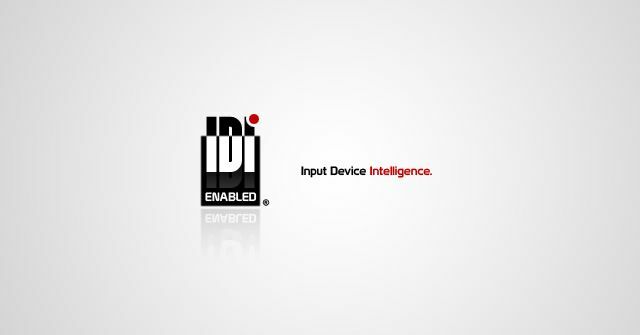 They are specified with simple macro instructions, and you can easily build macros of each Smart Button type using the MacroBuilder™ module of the IDI Configurator. A wizard interface guides you through all the selections, so no programming is needed, just a wicked strategic idea. The Shift Smart Button™ gives the other buttons alternate command settings, similar to the way the Shift key works on the keyboard. Shift Smart Buttons can create up to 4 sets of alternate commands for each of the Fragpedal or Omnimouse buttons.